*Sold with Elbow + Shoulder armour. Removable D3O® Armour at Elbow, Shoulder + Back (supplied with Elbow and Shoulder). Dyneema® lining throughout. 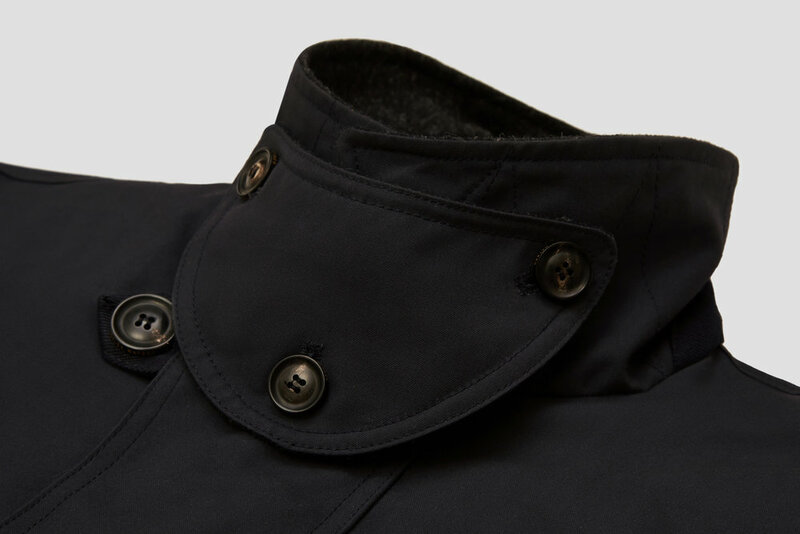 Melton wool collar for colder days. Cuff gauntlet and storm guard stop elements entering sleeve. Double zip - covered on front and back. Stops wind + rain. Neck sealed by signature three-button storm baffle. Internal pockets keep documents dry / secure. Heavy stitch throughout. Built to last. Large horn buttons. Can open jacket while wearing gloves. Storm guards on the pocket keep out rain. Seam sealed drop liner sits behind the waxed canvas outer. 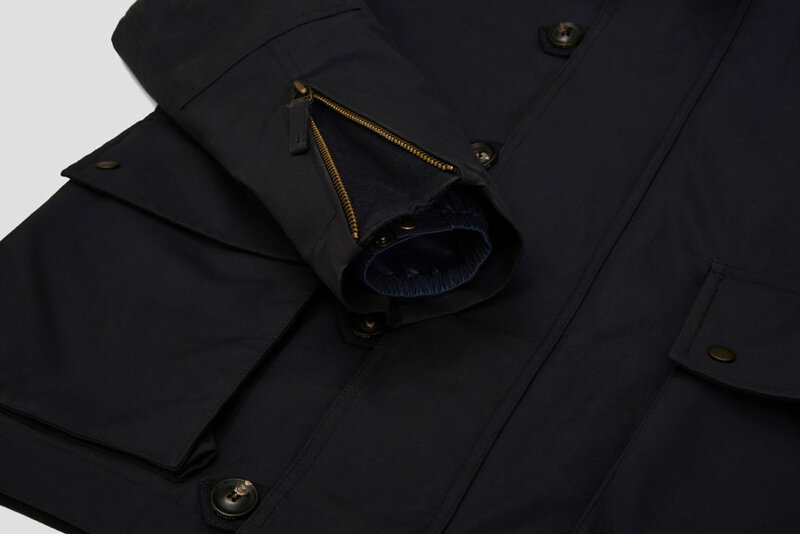 Proven to keep Eversholt Jacket fully waterproof.